How to mark HERACLIO FOURNIER No 1? Do you know the best way to mark cards? How do you make invisible ink? red cards: marked with a big font in the middle or small fonts in four corners (white or black marks). How does the invisible ink work? 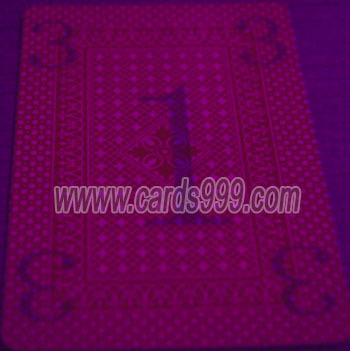 Many of magicians will choose Golden Sunshine marked deck of playing cards and infrared contact lenses, to work with their perfect magic show. Many of poker players will choose Golden Sunshine scanner system, poker winner predictor to know more information of Texas Holdem and Omaha poker games. Here is your best choice.